Dr. Kessler-Jones conducts neuropsychological evaluations of children, adolescents and young adults with a broad array of medical, developmental, psychiatric and educational difficulties. Her clinical interests include pediatric epilepsy, pediatric cancer, pediatric head injury and outcomes of premature or complicated birth. 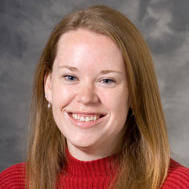 Dr. Kessler-Jones’ teaching interests consist of training of post-doctoral fellows, interns, graduate students and residents in clinical pediatric neuropsychology.